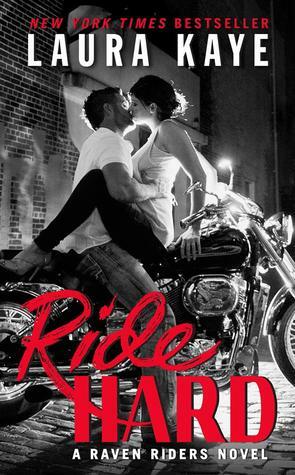 Ride Hard is book 1 in the Raven Riders series. This is my first MC type book and I'm glad I started with this one. The guys, while rough around the edges aren't exactly like watching Sons of Anarchy, which is what I was expecting. I came to really enjoy seeing our leading lady, Haven get more sure of herself and her surroundings. We start out meeting Haven Randall and her BFF, they're hiding at the Raven Riders Motorcycle Club house. They're hiding out because Haven ran away from her father who has deep criminal ties but in doing so they wound up getting captured by a gang and then saved by the Raven Riders. The MC President, Dare Kenyon sees Haven at one of the parties and can't help his protective instincts that kick in. One thing leads to another and the duo start to get feelings but Dare is careful to take it at a pace that Haven can handle. As you can imagine Haven's pushing herself to see what all she actually wants to do with her life and her newfound freedom. And some of those things revolve around Dare. There is some darkness in this novel but I really couldn't put it down. Ride Hard was an amazing introduction to the MC life for me. I've been putting off reading these kinds of books since they started popping up but I'm glad I gave this a go. I enjoyed Haven's character, but Dare just melted my heart. If you like alpha males that will stop at nothing to protect their woman you'll adore this book. Great review. I enjoyed this book and well the whole series. This is such an amazing series. 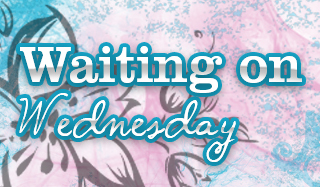 Just wait until you get to Slider and Cora's story. That one has been by far my favorite MC story ever. Lovely review and I am glad that you enjoyed this one. It is one of the more softer of MCseries I have ever read. This series has been amazing though. I love the men in the MC here, they just have hearts of gold. I've read a few of her books and liked them but I haven't read this one. I'm not really into MC books. Although, I'm sure all it'll take is one good read. I wasn't too into the thought of MC to be honest but I'm glad I tried this one! !